The Print Room Theatre is situated in a converted warehouse from the 1950’s (originally a graphic design workshop), which the founders discovered in 2008. The theatre opened in September 2010, producing and presenting theatre, concerts, dance art exhibitions, and collaborative work across many disciplines. The theatre aims to produce new adaptations, new translations, and little known work from famous writers. It also presented new writing, and as such accepts unsolicited scripts (email only). 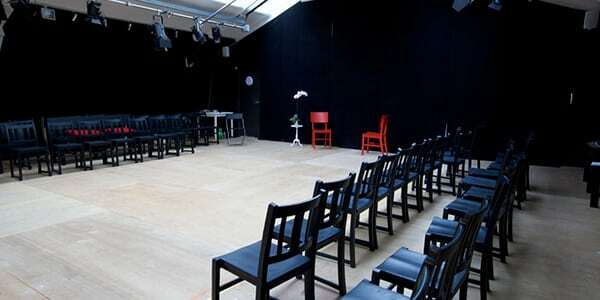 The Print Room has two spaces; an 80-seat studio and a 40-seat space (often used for play readings and art).